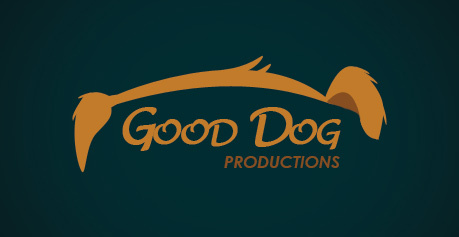 We recently completed a logo design / brand identity project for “Good Dog Productions” based in Australia. We were originally contacted by “Good Dog” to help them with their marketing, and after a few webcam meetings, we helped them to see the importance of having a professional, memorable identity. We researched the history of their company, their audience, and their competitors to help us develop our ideas for the identity. Our client didn’t want us to use traditional imagery of a dog, but wanted something playful to represent the name of the business. We began sketching our concepts , and developed an idea of the perspective of the face of the dog; specifically the inquisitive look a dog gives when something sparks their attention, and their ears or one ear stands up. Our clients really liked this idea, and so we developed it into a final logo design with the name of the business in a playful font, with shapes complimenting the lines of the dog illustration.